Bahrain is one of the most wasteful nations on earth, according to the World Wildlife Fund’s (WWF) 2014 Living Planet Report published recently. Bahrain is the ninth worst offender in terms of the environmental impact it has on the planet, per head of population. But Bahrain is not lonely among its neighbors: Kuwaitis, the report highlighted had biggest “ecological footprint”. They consume more resources per person than any other country in the world followed then by Qatar and the United Arab Emirates. Our own demands on nature are unsustainable and increasing. We need 1.5 Earths to regenerate the natural resources we currently useworldwide; we cut trees faster than they mature, harvest more fish than oceans replenish, and emit more carbon into the atmosphere than forests and oceans can absorb. If all people on the planet had the Footprint of the average resident of Qatar, we would need 4.8 planets. If we lived the lifestyle of a typical resident of the USA, we would need 3.9 planets. The figure for a typical resident of Slovakia, or South Korea would be 2 or 2.5 planets respectively, while a typical resident of South Africa or Argentina would need 1.4 or 1.5 planets respectively. Population sizes of vertebrate species—mammals, birds, reptiles, amphibians, and fish—have declined by 52 percent over the last 40 years. In other words, those populations around the globe have dropped by more than half in fewer than two human generations. Everybody can make a difference. 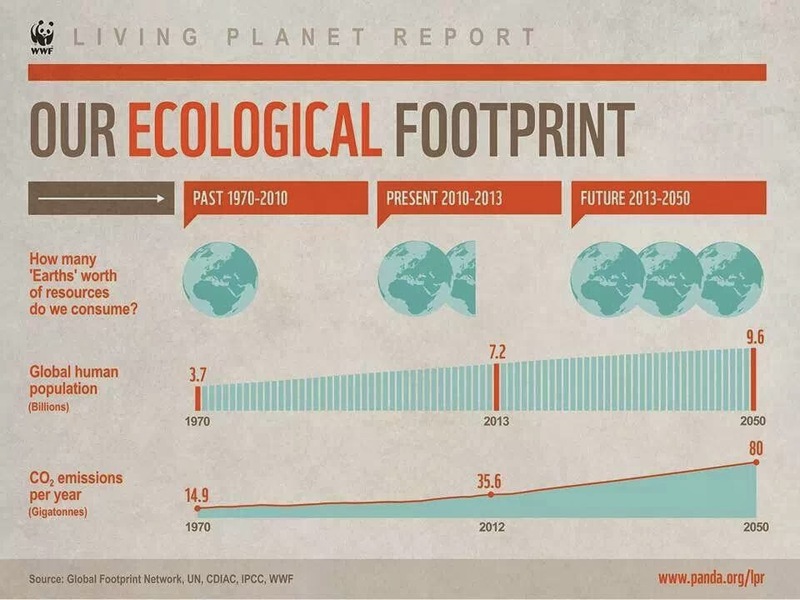 To reduce our ecological footprint our actions must address the sources of the biggest impacts we humans have on our planet: energy use and eating. You might be surprised to discover that while we all need to make lifestyle changes, saving the planet doesn't have to mean giving up the things you love. 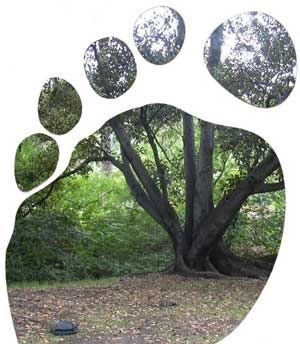 Simple and immediate ways that you can reduce your carbon footprint include: being energy efficient, using renewable energy, make better travel choices. One of the greatest day-to-day positive impacts you can have is simply to be an informed and selective shopper. Your position as a consumer gives you tremendous power. If you reject food and goods produced in an unsustainable manner, and instead choose environmentally friendly alternatives, the companies will listen – and change their practices. This mantra should be first and foremost when making decisions as part of our daily lives – at work, on vacation, when we're out shopping, and at home.